Friday Night Grooves at Galerija Stab. If it is your first visit to this amazing city, then you should know that the night clubs in Belgrade don’t open till midnight. So we know a pretty cool location. Before hitting the Belgrade night life scene this Friday night, we have just the place for you to meet up with your friends and have a couple of warm up drinks. Tucked away under Belgrade’s Brankov bridge in the super cool Sava Mala district you will find the pretty amazing Galerija Stab. 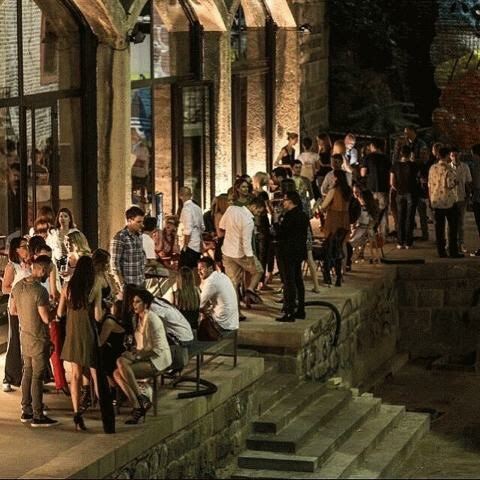 Galerija Stab is one of the most famous gallery’s in Belgrade. It has a super cool positive vibe and is a relaxed place to kick off your weekend with friends. Combing together music and art and playing all the hits from the 80’s this ultra cool place will be “taking you back to the good times”.